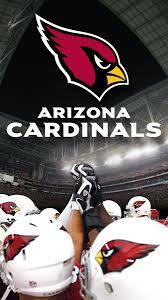 Get your Arizona Cardinal tickets right here!! Coming off a 7-8-1 year, HC Bruce Arians is hoping that a talented roster will be able improve and return to the NFC title game they last reached in 2015. The road back begins week one on the road against the Detroit Lions. The 3-headed monster of QB Carson Palmer, WR Larry Fitzgerald, and RB David Johnson lead a dynamic offenses that finished in the top 10 in points and yards last year. Defensively Patrick Peterson and Tyrann Mathieu will be joined by rookies S Budda Baker, LB Haason Reddick, and veteran S Antoine Bethea. The Cardinals play in Phoenix Stadium, which has been home to a recent Super Bowl and one of the coolest places to watch a football game in the NFL!